Andy Granatelli fielded cars at the Indianapolis 500 from 1946 until 1991, as a driver but more notably as a team owner, culminating with Mario Andretti driving victory at the 1969 Indy 500. 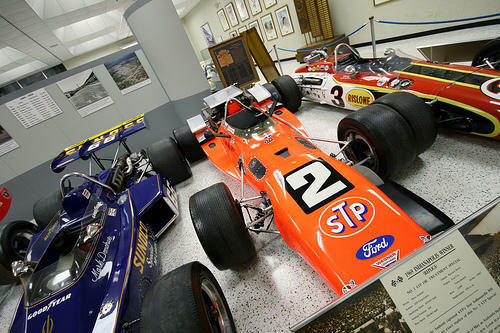 Granatelli, inducted into the International Motorsports Hall of Fame in 1992 and the Motorsports Hall of Fame of America in 2001, now plans to open his own museum and he is looking for help in locating items from his many years in racing. If you can be of assistance to Granatelli, email him at mrindy500@yahoo.com. Would like to have a address for this Andy Granatelli Hall O fame, Will need this in order to find it on map quest. Thank you. Would like to have a address for this Andy Dranatelli Hall of Fame, would need this in order to find it on map quest, Thank you.